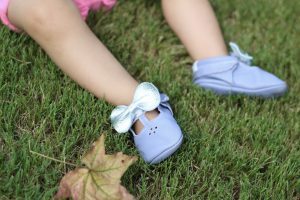 Moccasins have been one of the biggest baby/toddler footwear fashion. This shop took leather shoes to a whole other level! You can now find fashions beyond the moccasin style with the same comfortable feel at Feather and Filly. What kinds of shoes does this company have? Moccasins, sandals, boat shoes, MaryJanes, flats and more. 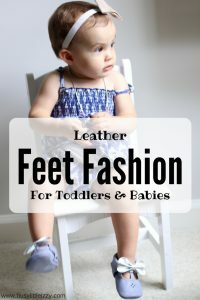 Feather and Filly have some of the most adorable shoes that are also comfortable for your baby, toddler or child’s feet. Isabella pulls these shoes out of the closet and requests I put them on her. 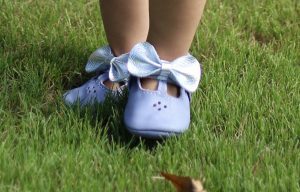 Safe to say she really loves these fun little lilac shoes. 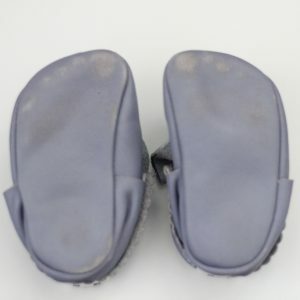 I love them because they are soft, easy to put on and easy for her to walk in. Plus what is cuter than the little footprints made on the bottom of leather shoes? Izzy and her teddy bear, she loves dressing him up. 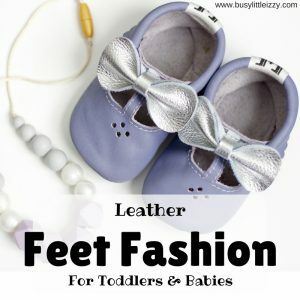 We should let our babes be little and with that they need to have comfortable and stylish feet while they play, right? If you are looking to see more styles and options you can visit the Instagram here. If you are looking to shop you can go here. These are so adorable!! I love the extra detail with the little bow!! So stylish as usual Izzy! These are so adorable and Izzy wears them well! Such a fashionista! Thank you! I’m loving the color too! ? Wow these are adorable and your daughter is even more so! Awe thank you so much! I’m not sure who loves these shoes more, me or her. 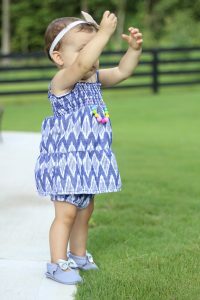 OMG, your Izzy and her whole look is absolutely adorbs! And her fashion footwear just ties everything in nicely. What a little fashionista you have there. Thank you so much Theresa. She really loves all things glitter, shoes, necklaces etc. She loves fashion so much. She’s a unique 17 month old. ? Those are so cute with the bows on top! And I’m loving the color!